Both trailers are now below for 'Cloud Atlas' the upcoming epic adventure-drama film written and directed by Lana Wachowski, Tom Tykwer (also co-composer), and Andy Wachowski, starring Tom Hanks, Halle Berry, Jim Broadbent, Hugo Weaving, Jim Sturgess, Doona Bae, Ben Whishaw, James D'Arcy, Zhou Xun, Keith David, David Gyasi, Susan Sarandon and Hugh Grant. 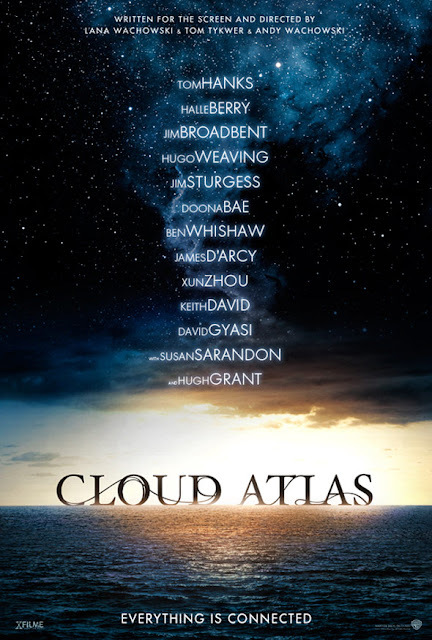 'Cloud Atlas' explores how the actions and consequences of individual lives impact one another throughout the past, the present and the future. Action, mystery and romance weave dramatically through the story as one soul is shaped from a killer into a hero and a single act of kindness ripples across centuries to inspire a revolution in the distant future.